“Powerful” does not actually do this astonishing (and VERY controversial) structure justice. Since the $30 billion project was announced, Chinese officials have faced heavy inquiry from both researchers and environmental activists like. The last 32 generators (each proficient of producing 50 MW of power) went into action at the end of July last year. The gushing water produced by the dam has sufficient power to produce about 22.5 million kilowatts (22,500 megawatts) of energy (the estimates vary), which is equal to about FIFTEEN nuclear reactors and, of course, it does not cause worries about radioactive materials being released (which is a very good thing, specifically after events like the Chernobyl and Fukushima nuclear disasters) – so the disastrous effects can be annulled by most, mainly due to the fact that it’s a clean, effective way of rendering energy for a booming population. 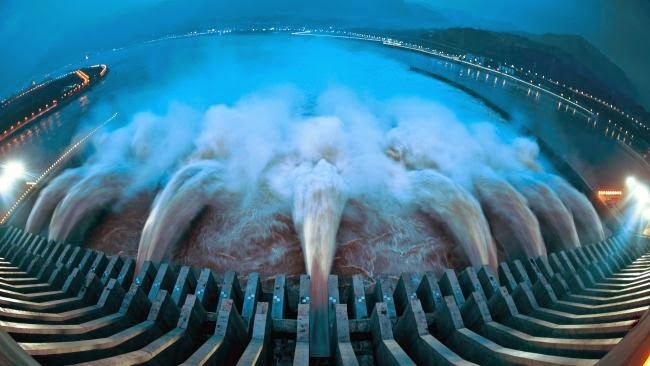 “Three Gorges Dam crosses the Yangtze River in Hubei province, China. It is the world’s biggest hydroelectric power station by total capacity, which will be 22,500 MW when finished. When the water level is at maximum….it will flood a total area of 632 km2 of land. The reservoir will have about 39.3 cubic km (9.43 cubic miles) of water. That water will weigh more than 39 trillion kilograms (42 billion tons). A shift in a mass of that size will influence the rotation of the Earth due to a phenomena known as “the moment of inertia”, which is the inertia of a rigid rotating body with respect to its rotation. The moment of inertia of an object about a given axis defines how hard it is to change its angular motion about that axis. The longer the distance of a mass to its axis of rotation, the slower it will spin. You may not know it, but you see examples of this in everyday life. For example, a figure skater trying to spin faster will draw her arms tight to her body, and thereby decrease her moment of inertia. Likewise, a diver trying to somersault faster will bring his body into a tucked position. Not to worry, however. 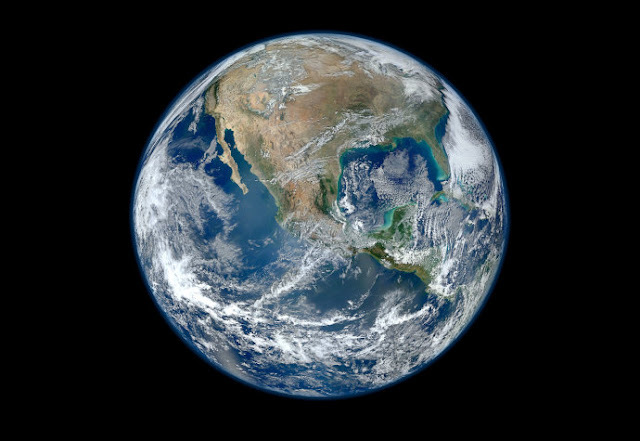 Earth’s rotation changes normally, with many different variables added into the equation. First, we have the moon slowly receding from the Earth changing Earth’s rotation ever-so-slightly. Earthquakes (like the mega quake in Japan back in 2011) also help along the process (the same quake changed Earth’s rotation by 2.68 microseconds). Additionally, every 5 years (or so), the length of the day increases and decreases by about a millisecond, or about 550 times bigger than the change caused by the Japanese earthquake. Still, this knowledge begs many interesting questions. Namely, how far is too far? Individually, these things don’t make much of a difference one-way-or-another, but together, who knows.